All I knew is that I needed a break. Okay let’s be honest: my understanding of a monk’s life is informed mostly by television, movies, and a few books, but this represents my best guess as to what it would be like. Monks get silence. St. Benedict wrote that “Monks should diligently cultivate silence at all times.” After I dropped my daughter off at school, I stopped talking (Full disclosure: In order to keep from being rude, I needed to say, “Thanks,” to a couple people). I turned the radio off, put away the iPod, and just. shut. up. Monks get solitude. Bernard of Clairvaux wrote, “Christ the Lord is a spirit before your face, and he demands solitude of the spirit more than of the body… To follow the advice and example of the bridegroom, shut the door and then pray… He spent nights alone in prayer, not merely hiding from the crowds but even from his disciples and familiar friends.” I hid my phone and turned off my mail app, in order to be fully present and not distracted. Finally, monks get work. Though the purpose of a monastic life was not to work and “produce” stuff, the fathers of the church knew the value of working with your hands and contributing to a community. In the midst of my silence, I went out and mowed the lawn, continuing to direct my thoughts towards God (and also continuing to remain silent). Silence and solitude don’t come easy or naturally in our society. Even our spirituality can be shot through and through with activity, busy-ness, and distractedness. He spoke, and I heard. So why not take some time to seek some silence, and quietness. Take some space to get away from the constant voices in your life to sit at the feet of God? p.s. 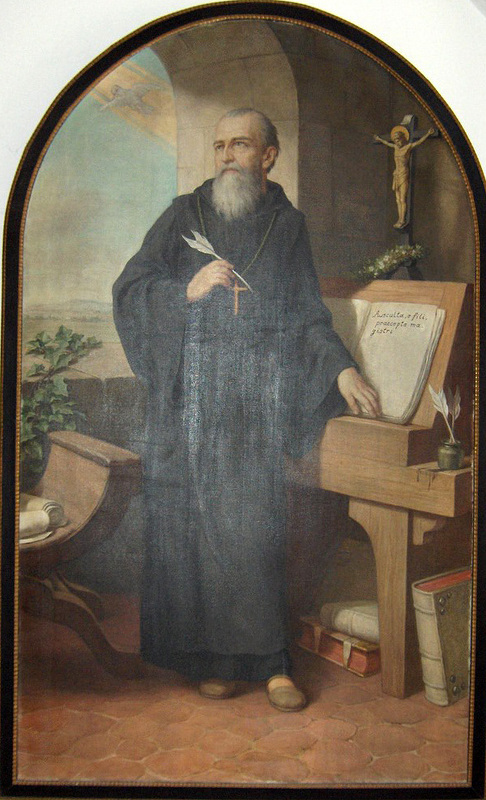 to read a little more about the rule of St. Benedict, you can go here and here. This entry was posted in faith, personal and tagged disciplines, silence, solitude. Bookmark the permalink. Last semester, I attended a mandatory 24-hour silent retreat. No bicycle. No schoolwork. No iphone. The first night, a dozen of us built a fire in silence. The second day, I found a treestand and then watched and listened to the woods for hours.